SOFIA, Bulgaria, (BulgarianMilitary.com) – Yesterday, Bulgaria’s Ministry of Defense, announced a forthcoming two-day visit of office delegates to Sweden, planned to take place on 27th and 28th September 2018. There, the Bulgarian delegation is lead by Deputy Minister of Defence, Atanas Zapryanov, learned BulgarianMilitary.com. During the visit, the both countries are expected to conduct military-technical consultations on the project of the acquisition of a new type combat aircraft, which is and the purpose of the Bulgarian two-day official stay in Sweden. 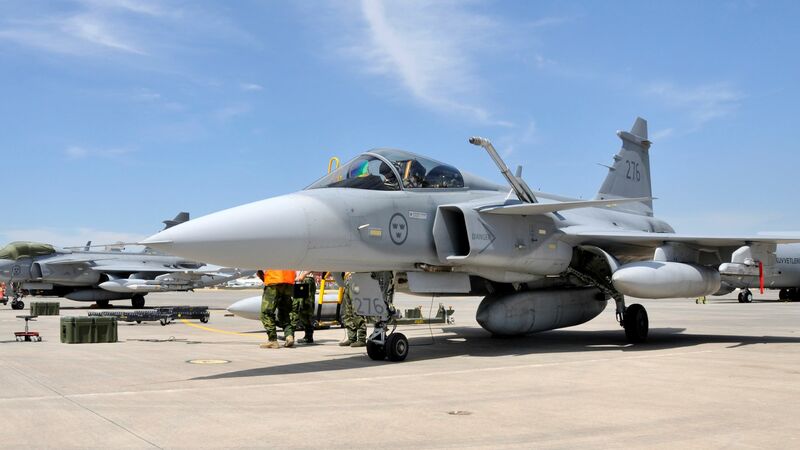 Sweden and the local corporation SAAB offer to Bulgaria to purchase the multirole fighter aircraft Gripen. The schedule of the Bulgarian delegation in Sweden includes Deputy Minister Zapryanov’ visit to the headquarters of SAAB Corporation in Linköping and his meeting with Jan Salestrand , State Secretary to the Minister for Defense, Sweden. The current Bulgarian visitation follows a previous one, held late last month, when Deputy Minister Zapryanov headed a delegation to the U.S. to discuss the same goals. Swedish corporation, headquarters of which is based in the town of Linköping. It is a high-technology company specializing in the area of defense, aviation, and aerospace. Saab provides world-leading products and services to the military defence as well as to the civil security sectors. Their product portfolio includes airplanes, missiles, electronics, computers, etc. The company is represented in 30 countries and sells to more than 100 countries.